Porsche Cayman Vs. BMW M2: Which Car Is The Most Fun To Drive? German engineering manifests itself in many ways. 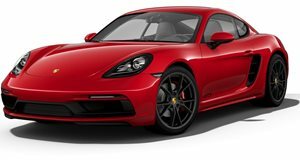 Porsche enthusiasts were none too happy to hear that the Cayman and Boxster were getting turbocharged four-cylinder engines when garnering the 718 name, but that’s just what happened to the two iconic cars, and as far as we can tell it’s been for the better. 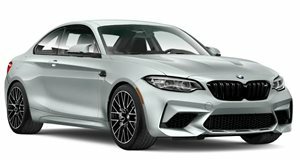 On the other hand, BMW fans felt just as betrayed when the M3 and M4 were given some help in the breathing department using turbochargers, but nobody complained when that engine was placed into the lighter and smaller M2. What’s perfect about the turbocharged transition and the spawn of the baby M is that now, the two Germans couldn’t be better rivals. The Boxster S is down on power compared to the M2, 350 ponies stacked against 365 galloping horsepower. Still, the Porsche is lighter by a substantial margin, even with the reinforcements needed for a roofless car. We recently saw the M2 get creamed in a drag race against the Boxster, but what happens when we put the M2 on a track with the Boxster's cousin, the Cayman S? All we can say is that on paper, the M2 looks to be the clear loser. Even with more horsepower, it suffers from a weight penalty of 308 pounds. The Cayman on the other hand maintains a lower center of gravity, mid engine balance, and Porsche’s signature track DNA. Still, that doesn’t mean the BMW is the loser, especially when fun is the used as the gauge for success. Did Ford Secretly Name Its New "Baby Bronco"? The Boxster for the road and the Cayman for the track. BMW’s smallest sports car deserves its capital M.
The M2 Competition punches well beyond its weight. Including some from Rolls-Royce and Mini.